This is comfort food. Quick and easy! Make 4 equal patties from the ground beef. Season well with salt and pepper. Cook in non stick skillet until almost medium rare- about 5-6 minutes on each side. Remove to plate. Cook onions in the same skillet, using a little water to keep from sticking (use olive oil in p3 only). Season well with salt and pepper. When onions start to get soft, add thyme and garlic. Stir, and cook, until soft. Mix arrowroot powder with a little cold water or stock. Pour beef stock over the onions and bring to simmer. Add arrowroot mixture, stir until thickened. Add tamari and taste. Adjust seasoning. Add beef patties back in- simmer for 5-6 minutes, until beef is done. Sarah, which p2 smoothies are you referring to? 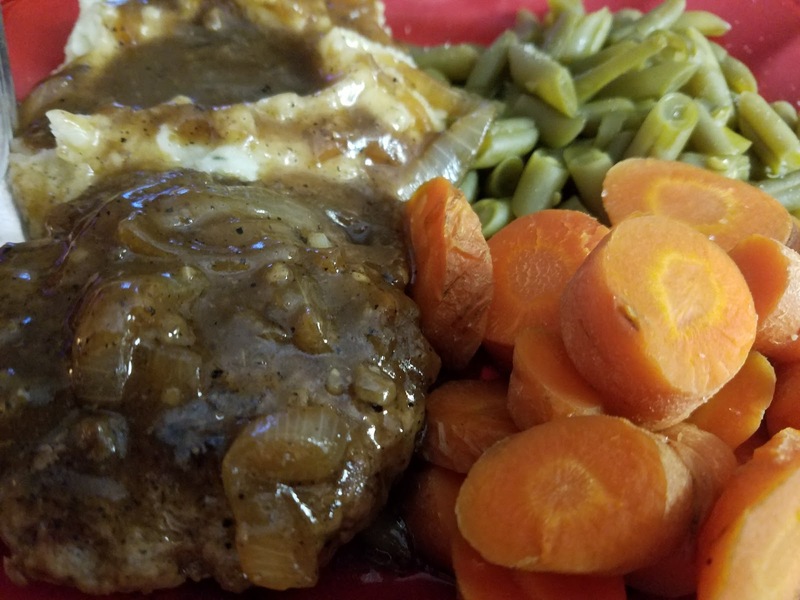 We enjoyed the hamburger steak tonight. I added mushrooms to the gravy. Have you ever made the onion gravy with chicken broth to have with chicken? 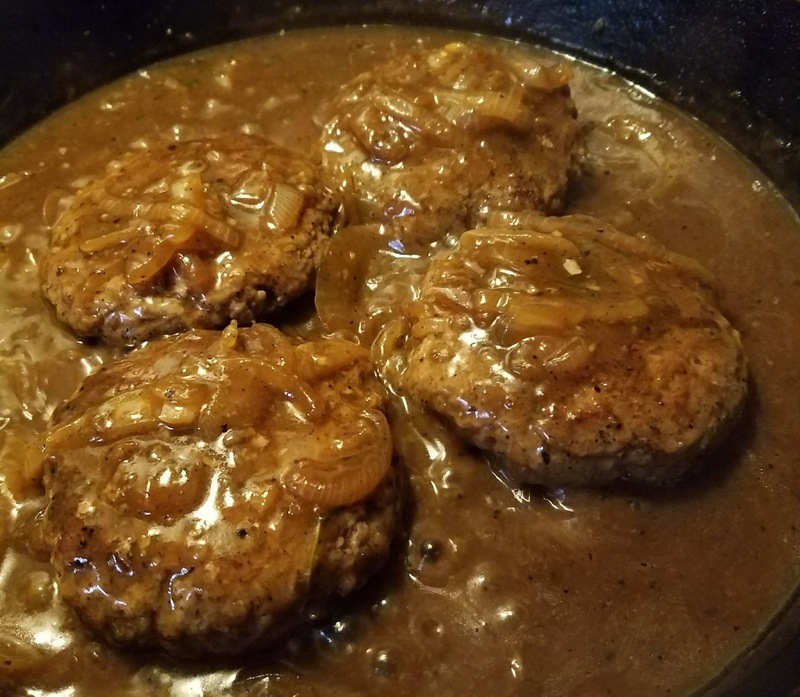 Made the hamburger steak and onion gravy for the fist time tonight. It is a major hit with my husband! Thanks for the recipe. I'm so glad you like it. It's a favorite of mine! Would I be able to use a different thickened? I have psyllium husk, but no arrowroot yet. Do you use arrowroot a lot? Arrowroot is really the only thickener I use. For Phase 1 what grain would be good to add? Just wanted to say thanks! My whole family really enjoyed this meal tonight! !